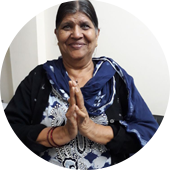 I am Mrs Kunti Devi..it's been about 3 years since I got operated for my hip fracture by Dr Jayant...I am fine and moving pain free... God bless Dr Jayant.. 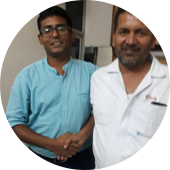 I am Firdaus and I am very thankful to Dr Jayant for performing a wonderful surgery on my foot. Hi I am nikhil manan. I had an ACL tear in my knee. 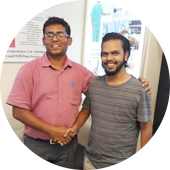 I had a very satisfactory experience under the treatment of Dr Jayant not only during the surgery but also all through out my rehab. I thank him for his sincere efforts and wish him all the best. My name is Mrs Lajja Sharma. I had a neglected fracture of my left wrist. I thank Dr. jayant for a wonderful painless surgical experience and return to normal work within weeks of surgery. 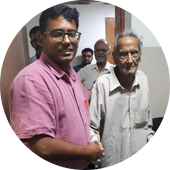 I am Mr JN Mittal and I am 100 yr old. I sustained a hip fracture and was bed ridden. 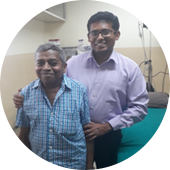 I thank Dr jayant for performing a successful hip replacement for me and giving me a new life at this age.I wish him all the best . 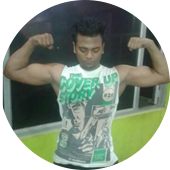 My name is Mr Pradeep Bhandari and I am 45 year old. I had sustained a very bad fracture of my knèe for which I had 3 failed surgeries and still unable to bend my knèe and walk . I thank God and Dr jayant for doing a wonderful surgery for my knèe. Now I am able to walk without support and bend my knees to perform my daily activities comfortably. 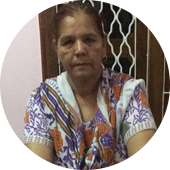 My name Is BIMLA DEVI and I want to thank Dr jayant for doing a successful total knee replacement on both my knees . I am happy and enjoying a painfree active life. I had a ankle fracture with ligament injury . I was operated by Dr Jayant and now I am up and about. Thank you so much sir! 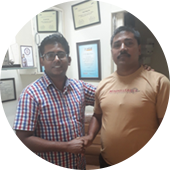 Dr. Jayant did my surgery on my left shoulder were I lost my hope to regain my strength. Sir I am back again. I had a complex fracture of my leg. 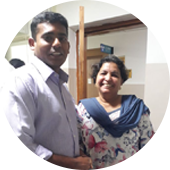 I was operated by Dr Jayant for the same and today its been more than a year and I am back to active work. I had fractures of both arm bones with nerve injury in one arm. I was totally helpness and not able to move my hands. I thank Dr. Jayant for excellent surgery and ensuring a successful return to my demanding lifestyle. 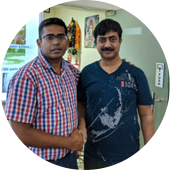 I had a fracture of my Hip and three failed surgeries done in the past before I met Dr. Jayant. I was not able to walk and wheel chair bound. 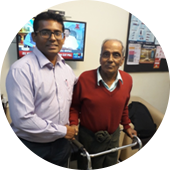 Dr. Jayant did a successful Revision Total Hip Replacement and gave me new independent life.I am very thankful to him. I had a failed fracture fixation surgery for Hip. Dr. Jayant did a hemi replacement surgery for my failed Hip surgery and now I am back to my normal active life. 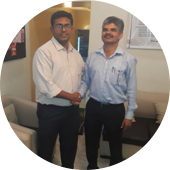 Thank you doctor Dr. Jayant. I had a fracture of my Hip bone. 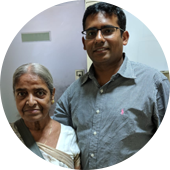 I thank Dr Jayant for doing a total Hip replacement surgery for me which allowed me to lead a normal life at this age. 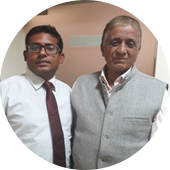 I was operated for osteomyelitis of my amputated stump by Dr. Jayant. I am very thankful to him for my new ambulatory and active life. Dr. Jayant Kumar is a renowned orthopaedic surgeon based in South Delhi. 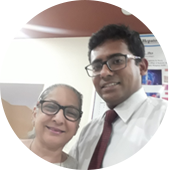 He has an experience of 10 years in orthpedic surgery in india and abroad. His special interest is in the fields of Joint Replacement, Arthroscopy and Sports Injury and Management of Complex Trauma. 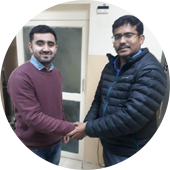 He is attched to hopitals like Indian Spinal Injuries Center New Delhi, PSRI Hospital New Delhi, Aryan Hospital Gurgoan. 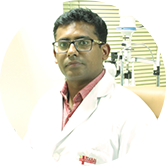 He has his own private clinic as Nirvan Super Speciality Clinic Flat L8-A Phase-2, Sheikh Sarai New Delhi.